A program for teaching Classical Music to youth from the Korogocho area dubbed Ghetto Classics has been transforming lives. In a piece featured on German News Agency Deutsche Welle, 18 year old Seline Akumu walks us through how the program enabled her realize her potential in music. Seline and fellow band members, she fondly refers to as her second family can transform any sound into Classical Music creating beautiful sounds out of the tough Korogocho slums. Besides providing fun and relaxation, Seline appreciates the dignity and respect she has earned against the stigma attached to being from Korogocho. She’s looking to change the commonly held perception that slum dwellers can’t excel in anything. Emmanuel Omondi who loves soccer is another success story of the Ghetto Classics program. In a feature by Marco Pavan, Emmanuel reflects on how the program transformed his life and gave him confidence. The idea of an orchestra took off with funding from the Art of Music Foundation founded by its current Director Ms. Elizabeth Njoroge. Ms Njoroge reflects on how people thought the idea of teaching inner-city kids classical music was crazy. She describes their amazement after their first concert in which they performed excerpts of Handel Messiah. The Art of Music Foundation was established in 2009 with a mission to promote the performance and appreciation of music in Kenya and use it’s transformative power to change lives, particularly of those living in underprivileged areas of the country. 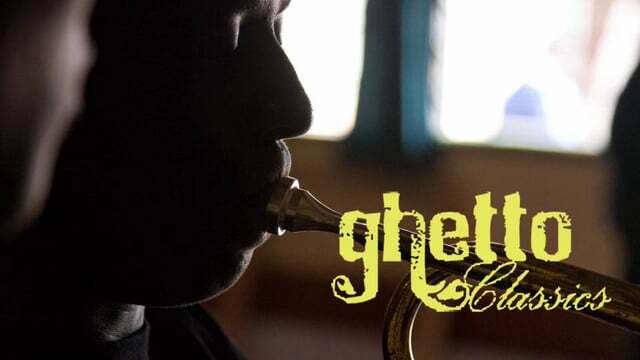 Besides Ghetto Classics, The Art of Music Foundation also runs a musical and leadership training program dubbed The National Youth Orchestra of Kenya (KNYO), A music ensemble that brings together talented young musicians from all walks of life in the country.